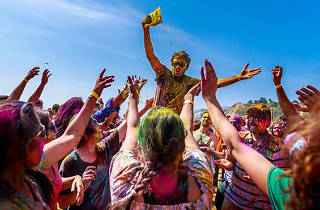 Photograph: Courtesy AID Los Angeles Holi on the Beach. 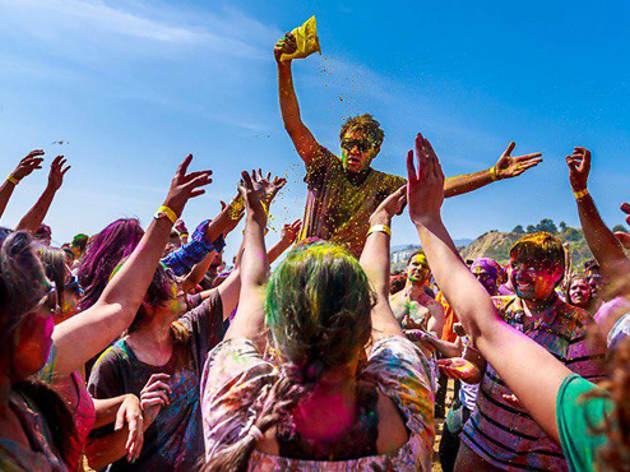 Welcome in spring at this traditional Indian festival of colors with an LA twist; pelt those around you with colored powder while enjoying the surf and sand (just make sure you're not attached to what you're wearing). The celebration attracts more than 1,000 guests each year and features games like a three-legged race and beach volleyball, plus a DJ spinning Bollywood tunes. The event, located at Will Rogers State Beach (at Pacific Coast Hwy and Temescal Cyn), also serves as a fundraiser for the LA chapter of the Association for India's Development, which works on grass-roots projects in India.